and embedded links to background references, plus posts done after publication. +Posts written after the writing of the book are in italics. 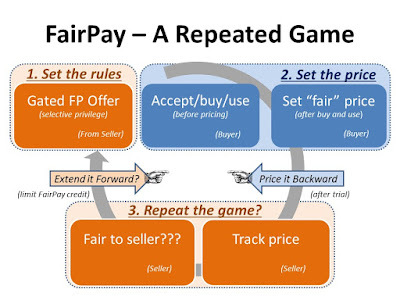 This post-publication revision provides a slight clarification to the basic FairPay process diagram -- to emphasize its simple structure as repeated game. Understanding how current and new strategies rank along a "ladder of value." +Finding Good and Fair Customers -- Where Are the Sweet Spots? 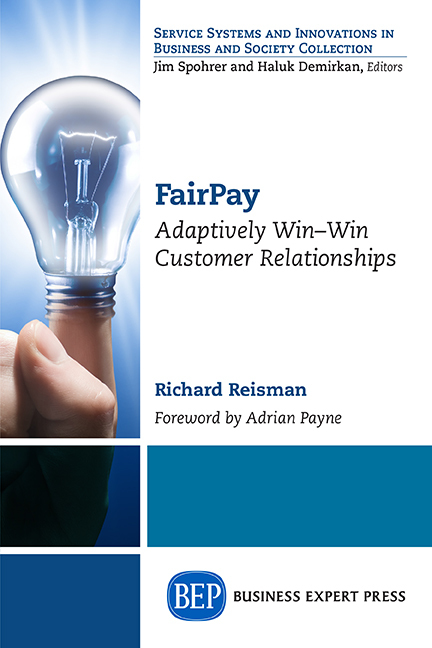 Finding receptive segments for FairPay and growing from there. Proven success for better and more profitable relationships. +The Missing Piece of the Membership Puzzle -- Agreeing on Value for Each MemberKey issues in emerging patronship/membership variants of subscription models. How individual companies can move in directions advocated in Tim O'Reilly's book. +No, Peggy, That is Not "All There Is" to News Reader Revenue! +"Invisibly"? -- Or Visibly? ..."Finding the New Revenue Stream Publishers Dream Of"
+Panic in the Streets! Now People are Ready to Patron-ize Journalism! 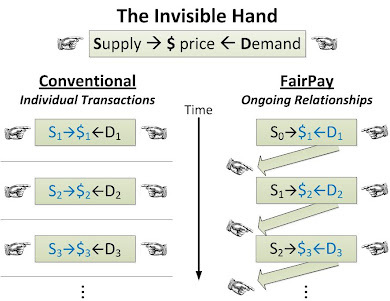 This sample offer letter to consumers (with FAQ) shows how a newspaper might frame FairPay as a privileged benefit to regular patrons – to enable them to participate in a win-win pricing process and personalize their value propositions – as an alternative to a standard freemium "soft paywall."